Dentures are the most cost-effective option if you are missing some or all of your natural teeth. We offer partial and full dentures, depending on the number of teeth absent from your mouth. Our dentures can help you speak fluently, chew easily, and smile with total confidence. 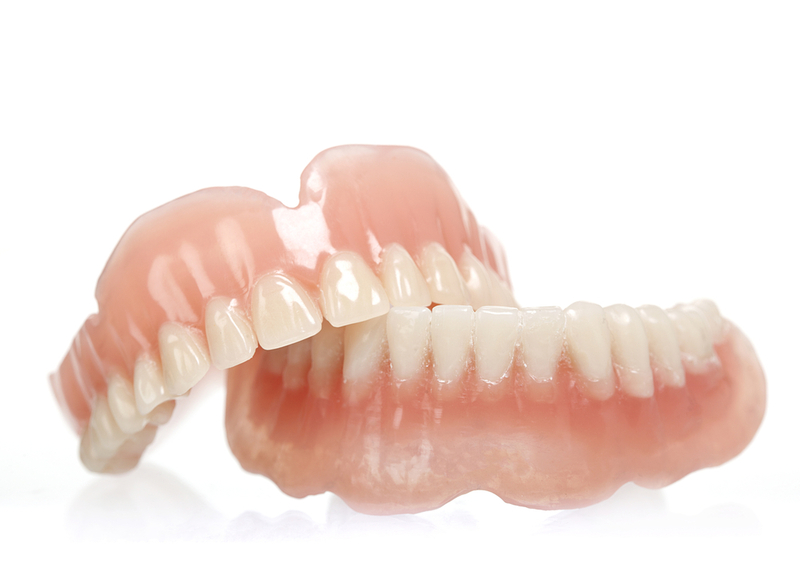 A partial denture is a removable prosthetic device that replaces a few teeth. Partials feature replacement teeth that fit, much like a puzzle, between natural teeth. Traditionally, partials are secured to clasps on healthy teeth. However, today, partials can be attached to permanent dental implants. Full dentures are recommended when all teeth on the upper or lower arch are missing. Top dentures may be secured by adhesive or natural suction, while lower dentures require adhesive. The alternative is anchoring dentures or dental implants. With implants, looseness, wobbling, and slippage of dentures is minimized. Cheapest option to missing teeth. Easy to make adjustments and additions. Need to be removed and cleaned frequently. May move during eating and speaking. Some patients find wearing dentures uncomfortable.